Season Recap: ETSU had just re-instated their dormant football program in 2015. 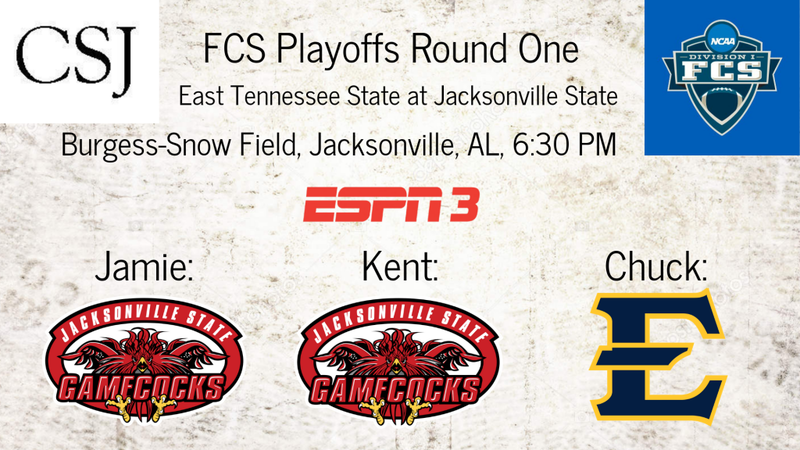 Only three years later, the Buccaneers under first-year head coach Randy Sanders has returned the Buccaneers to the FCS playoffs, their first postseason appearance since 1996. Few expected Sanders to get East Tennessee State to the top of the SoCon so quickly, especially since he was taking over a program that went 4-7 in 2017. But the Bucs found themselves in the surprising position of frontrunners for the SoCon title in late September when they upset both Furman and Chattanooga in back-to-back weeks. If this game ends up close, ETSU knows how to win close games. That’s because six of their eight wins were 3 points or less. Playoff Floor: If these playoff first-timers get awed by the stage, their stay in the playoffs will be short. Playoff Ceiling: Could the Bucs be a sleeper to make a run through these playoffs? 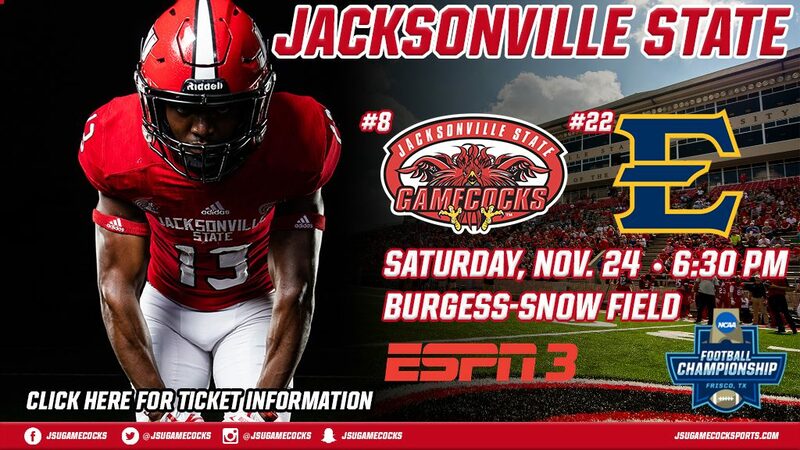 On the surface Jacksonville State, and Maine the following week, seem like winnable games, and even a potential Weber State game doesn’t seem undoable. Key Player This week: Any possible ETSU win is going to involve solid defense, and that means LB Dylan Wiegel is going to have to have a tremendous game. The leading tackler for the Bucs with 91 tackles (including 14 tackles for loss, he’s a first team all-SoCon linebacker. Fantasy Bonus Baby This Week: Freshman RB Quay Holmes is ETSU’s leading rusher with 820 yards and 13 TDs on the season. He’ll need to be at his best in order to knock out the Gamecocks. Season Recap: It couldn’t have been an unlikelier title for the Gamecocks in 2018. The state of Tennessee knows a little something about kick returns for touchdowns with no time on the clock, but this was ridiculous. In this “Murray City Miracle”, the victims were Southeast Missouri State and the victors were Murray State, as this most improbable kickoff return for touchdown with no time left on the clock would give the Racers the 40-38 win. 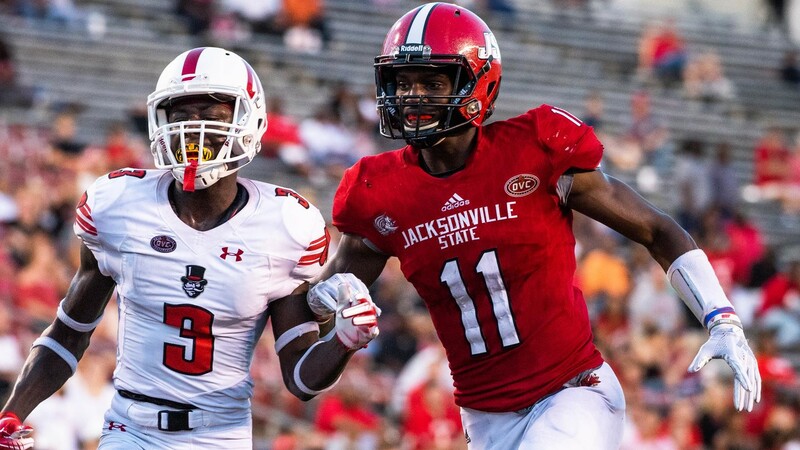 That one play would hand the OVC title to 8-2, 7-1 Jacksonville State, who went from wondering whether they would make the field as an at-large team to conference champions in one play, thanks to their 41-14 win over 3-5. 2-4 Tennessee State earlier in the day. The 2018 season for the Gamecocks was one of extreme highs and lows – the lows of losses to North Carolina A&T to begin the season, the brutal loss to Southeast Missouri State to break their very long streak of OVC conference wins, and the 5 OT loss to Kennesaw State to close out the regular season. But there was also the high of capturing another OVC title in the unlikeliest of ways, their dominating win over Murray State, and a dominated 48-32 win over Austin Peay on Homecoming. Playoff Floor: After the crazy 5OT loss to Kennesaw State, how much do the Gamecocks have left in the tank to play this week? The Bucs’ tough defense might not be the best matchup and could have them crash out in the 1st round. Playoff Ceiling: If they survive ETSU, the Gamecocks will travel to possibly frigid Orono, Maine to play the Black Bears. On paper, they could make that run, but it seems unlikely they’d get past Weber State (potentially) if they do. Key Player This Week: WR Josh Pearson leads all Division I players with 17 touchdown receptions. The Decatur, Ala., native has six more touchdown catches in a season than any other player in school history, while his 59 catches are fourth-most and his 980 yards third-most in a season in JSU history. The first All-OVC honor for the junior comes one day after he was named one of 25 finalists for the Walter Payton Award, given annually to the Offensive Player of the Year in FCS. Fantasy Bonus Baby This Week:After transferring from Clemson in the offseason, QB Zerrick Cooper set new school records with 2,825 passing yards and 27 passing touchdowns. He has completed 212-of-341 passes, a .622 completion percentage that is third-best in school history among players with 100 completions. His honor gives JSU the First-Team quarterback for an OVC-record fifth-straight season after Eli Jenkins won the honor from 2014-16 and Bryant Horn in 2017.